A conversation with an amazing radical doula and activist tonight got me thinking about a topic I’ve been avoiding writing about here for a while, mostly because of my feelings of shame. It’s been four years since I’ve been at a birth. I worry that when I tell folks that they will shun me, or consider me less worthy or my expertise false. But the real question, and the interesting part of it, is why has it been so long since I’ve done birth doula work? The first thing that pushed me away from the work was the burn out and exhaustion I felt from just a few months working at a hospital as a doula. It can be so taxing to be a doula in those environments, witness the inequalities and injustices, but know that your role was not to fix them, or intervene, but to try and support the birthing parent. I left my last birth at that hospital just entirely spent and triggered by the hospital environment–I couldn’t do it anymore. Part of the problem is I’ve never witnessed a birth experience (at least not firsthand) that felt inspiring to me, that was a model of what birth should be. I’ve yearned to see birth in the home, or in a birth center, or even a hospital where the mother is truly supported and has a positive experience. So I’ve stayed away because of not wanting to be in the hospital setting again. I’ve also stayed away because of my life schedule. I’ve not stayed put for more than three weeks at a time since college. My work has required pretty consistent travel–not a good combination for doula work. But I’ve also stayed away because of fear. In the four years since I’ve last done doula work, my gender presentation has changed significantly. I’m scared of how folks will react to me, if I will make them uncomfortable, if I will have to answer questions that I don’t want to answer. Because that’s the thing about doula work–it’s not about me. It’s about the birthing parent. And that’s the way it should be–but it’s so hard to think of walking into a room and wondering what is going through the parents head. Are they wondering why I’m doing doula work? Do they assume I’m gay and not feel okay with that? So many insecurities connected to this. These are the things that keep me from signing up for shifts with the local volunteer doula group, which is awesome and connected to a birth center locally. In the absence of direct doula work, this blog has been an amazing outlet for the passion and energy I have for this work. I’ve felt blessed to connect with all of you and keep abreast of the work of the birth activist community. So this is a commitment to myself to get back to doula work this year, and face some of these fears head on. Like few other careers, being a doula is a state of mind first and a birth attendant second. Being an advocate for women during their childbearing year(s) happens in the labor and delivery room and also every time we talk about birth and womens right to have choices and exercise informed consent. Everytime I try to define what a doula is my answer is different. I am a pro-choice lesbian doula in a small city. I am navigating the landmines of harmonizing my personal identity and politics with my clients needs every day. I have very little idealogical overlap with my communities. I live “out”. Among the queers, very few of whom are breeding, my job is odd and bears little relevance to their lives. Very few of my friends will be blessed with the transformative experience of giving birth to their own children. I fear that my sexual orientation scares some potential clients away, yet my lesbian identification has its center in the celebration of women – and living in a woman centered bubble affords me a tenderness and understanding that is unique and at the same time unmarketable. I work among the birth community – almost none of whom understand how I can be both vocally pro-choice and work with birthing mothers. I argue that a woman’s right to make medical decisions about her body is as true on the 5th floor of the hospital as the 3rd floor of the clinic down the street. Abortion is a word never spoken. We support only some women as they navigate their reproductive years. I scream alongside the reproductive justice community – who see no value in what doulas can bring into their work. I repeat that a woman is deserving of emotional, physical and informational support around her reproductive choices at any point in her life. I remind them that nurses once thought doulas provided “a redundant level of care” and now embrace our presence. I beg them to be open minded – that we are well trained professionals with a unique role to play and something extraordinary to offer. Women are entitled to the medical procedure by law – who is protecting their rights to frame that experience for themselves? The things in life that challenge us the most will be the ones we reap the greatest reward from facing. I welcome you back to the fold of the birth doula sisterhood with the gentle reminder that life – like birth – is messy, long and can be painful…but is benevolent, beautiful and rewarding. You have what it takes. Thank you so much for that Jesse–it means a lot to hear about your experiences, and feel inspired by you and your work. It’s so nice to hear my framework reflected in yours. Keep up the fight, the work you are doing is so important! 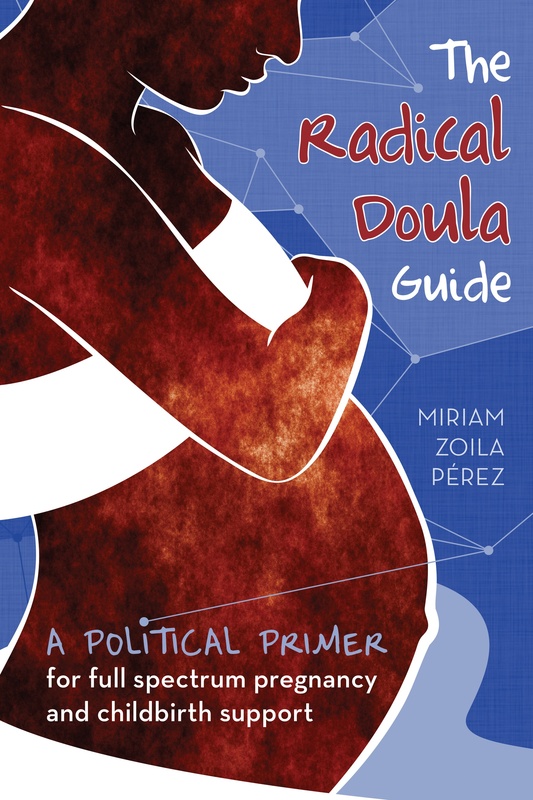 Just a voice of support from a birthing parent – it would have meant so, so much to my partner and I (a queer/trans couple) to have found a queer doula, or a doula with non-“traditional” (struggling for appropriate terminology here) gender presentation. So if you do decide to get back into doing births, know that you, as you are, are just what some couples need. Thank you! Providing support to queer and trans parents would be AMAZING, and I know many other queer/trans doulas who are looking to do that work. What a valuable post! I also have been way less involved in actually attending births, and more involved in activism & advocacy, for the past 2 years. It makes me feel less relevant to the doula world, although birth work is absolutely what I still spend my time & energy on (just not in a birthing room). Thanks for sharing these thoughts that I can totally identify with. To clarify my post (I apologize for not re-reading my text before posting), although I don’t struggle with my gender presentation as a doula, I do feel extremely insecure in my non-traditional lifestyle and I worry about how it will meld with the client’s expectations of me. While I barely ever talk about my personal life with clients, and my lifestyle is not something one can necessarily perceive just by my physical presentation, I find myself wondering things like, “What if they read my blog? What if they can see straight through me and realize that I’m ardently pro-choice or bisexual or divorced or an anarchist?” I feel inhibited my my own insecurities, and at the same time, I feel like I have a lot to offer birthing families, specifically because of the experiences that make me feel insecure. I think that’s what many of us as radical doulas face, regardless of gender presentation or how obvious it might be to the parents. Thank you so much for writing this! I felt the same way through the few years that I was in a birth “dry spell”. Did I have the right to talk, write, think about birth or give advice when I wasn’t really an active doula? Was I a fraud? But the truth I came to is, it really is more about the mindset than about how many days it’s been since the last birth you attended. You speak from your experiences, whenever they happened, and they’re still true. You speak from research and activism and advocacy, and those experiences are important and valid. There are midwives who do great research and advocacy who haven’t caught a baby in years, but they are still midwives. You are still a doula. I can’t speak personally to your concerns about gender presentation, but I have often felt very, very different from my clients: language, race, class, cultural barriers. I’ve found that most often, the immediate needs and the in-the-moment experience of labor bypass those barriers. I think that generally people are so inwardly focused on themselves and/or their families/partners that my presence is noticed inasmuch as it directly impacts their labor, and the rest is just details. I hope you find that that’s true for you as well. Good luck heading back into doula work, and good vibes for attending some sustaining, fulfilling births!